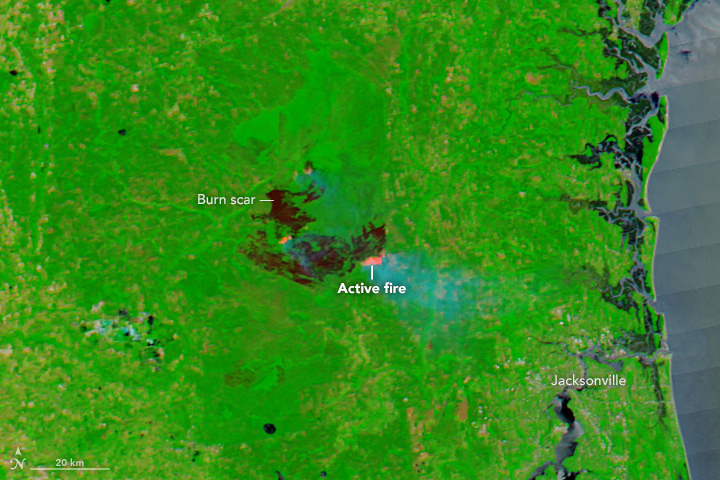 False colour image of the West Mims fire on Florida/Georgia boundary acquired by MODIS on 2nd May 2017. Data courtesy of NASA. NASA image by Jeff Schmaltz, LANCE/EOSDIS Rapid Response.